20 years ago people had to be convinced to use the Internet. How often did we hear the question, “What would I use it for anyway?” It’s comical to think that people needed to be convinced to use the Internet considering nowadays people can’t survive without it. The first smartphone was released in 1992 by IBM. It was considered a smartphone because of its virtual assistant capabilities, but the smartphone of today is light years more advanced. The timeline is a little blurry, but many would say that the first actual smartphone was the Sidekick, released in the early 2000s. Smartphones in existence prior to the Sidekick were for corporate professionals, but the Sidekick advertised to a younger market. Teenagers no longer had to wait until they got home from school to sign on to AIM to speak to their friends, the capability was right in their pockets! In the last 15 years the smartphone technology has increased rapidly. According to Monica Anderson at the Pew Research Center 68 percent of adults in the United States use a smartphone. 88 percent of 18-29 year olds own a smartphone while only 78 percent of the same age group own laptops or desktop computers. As the use of smartphones increases there is less of a need for a laptop or desktop computer. And why would you need one, when a smartphone is just a smaller computer? Mobile technology has been advancing at a very fast pace. The average American uses a smartphone to view product reviews, make price comparisons, and find information about products while they are shopping in-store. 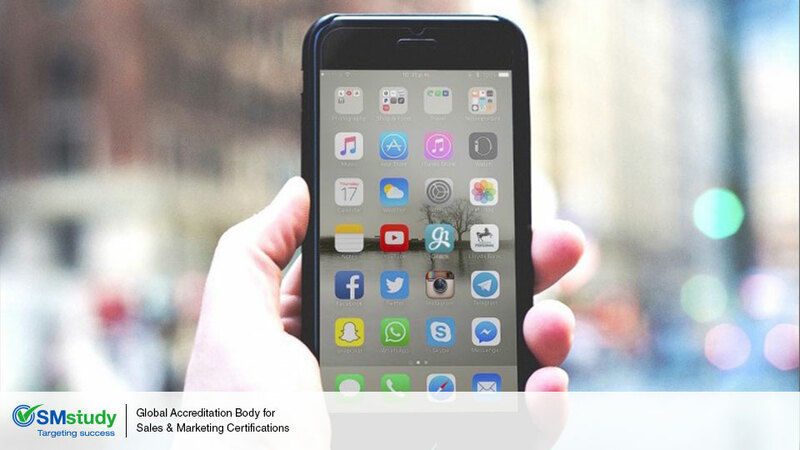 With consumers increasingly using technology on the go, a company’s Digital Marketing Strategy must be designed to take full advantage of this consumer trend, especially in consideration of a recent study released by the Daily Mail stateing that smartphone users check their phone 85 times per day on average. Google coined the term Micromoments for all the times smartphone owners use their device. This could be to a simple check of a notification that popped up from a news organization or using the phone to check reviews before purchasing a product. Companies must capitalize on these moments if they are looking for consumers. The trick is to ensure customers and potential customers have access and are able to land on a company’s mobile version of their website when they are using their mobile devices. So, businesses must ensure that they have a mobile-friendly website. Usability and Design - Organizations with established large scale websites have recognized the growing need for compatible tablet and mobile-accessible content and have implemented updates to their websites to reduce and streamline content and website size in order to be more suitable for mobile-accessible devices. Nevertheless, this approach is sufficient only for sites that provide static, one-way dissemination of information. As more customers demand interaction via mobile devices and tablets, the usability of these updated sites could diminish. Performance - The advent of these devices has also provided companies with an opportunity to gather more personal data from their users, and in turn, push relevant, context-driven content. Such mobile-optimized content must load quickly on mobile devices to ensure that the performance expectations of consumers are met. The rapid rise in smartphones, tablets, and Internet-enabled wearable devices has led to a shift in web design approaches, with web development for these devices becoming a much higher priority than it has been in the past. The advancement of technology only brings more opportunities for businesses and consumers, so join in!